Every living being longs always to be happy, untainted by sorrow; and everyone has the greatest love for himself, which is solely due to the fact that happiness is his real nature. Hence, in order to realize that inherent and untainted happiness, which indeed he daily experiences when the mind is subdued in deep sleep, it is essential that he should know himself. For obtaining such knowledge the inquiry ‘Who am I?’ in quest of the Self is the best means. 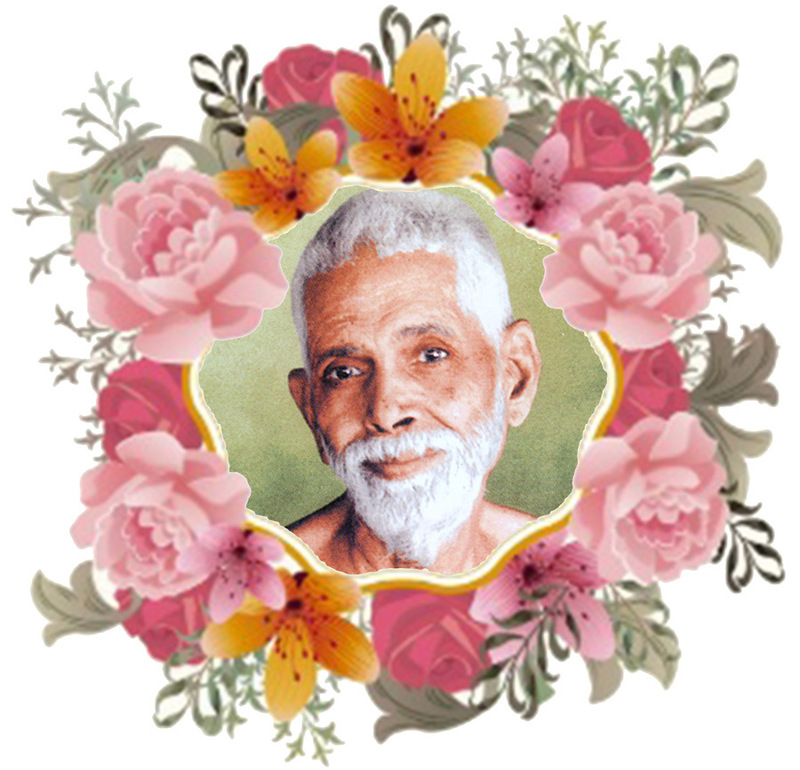 Bhagavan: There are only two ways to conquer destiny or to be independent of it. One is to inquire whose this destiny is and discover that only the ego is bound by it and not the Self and that the ego is non-existent. The other way is to kill the ego by completely surrendering to the Lord, realizing one’s helplessness and saying all the time: “Not I, but Thou, oh Lord,” giving up all sense of “I” and “mine” and leaving it to the Lord to do what He likes with you. Surrender can never be regarded as complete so long as the devotee wants this or that from the Lord. True surrender is the love of God for the sake of love and nothing else, not even for the sake of salvation. In other words, complete effacement of the ego is necessary to conquer destiny, whether you achieve this effacement through Self-inquiry or through bhakti-marga. Bhagavan: The Self is Pure Consciousness. Yet a man identifies himself with the body, which is insentient and does not itself say, “I am the body.” Someone else says so. The unlimited Self does not. Who does? A spurious “I” arises between Pure Consciousness and the insentient body and imagines itself to be like a phantom. The phantom is the ego or mind or individuality. All the sastras are based on the rise of this phantom, whose elimination is their purpose. The present state is mere illusion. Its dissolution is the goal and nothing else. The Guru is the Self. Sometime in his life, man becomes dissatisfied with it, and, not content with what he has, he seeks the satisfaction of his desires through prayer to God etc. His mind is gradually purified until he longs to know God more to obtain His Grace than to satisfy his worldly desires. Then, God’s Grace begins to manifest. God takes the form of a Guru and appears to the devotee, teaches him the Truth, and, moreover, purifies his mind by association. The devotee’s mind gains strength and is then able to turn inward. By meditation, it is further purified, and it remains still without the least ripple. That calm expanse is the Self. Note: “come to be” can be translated as become. “knows” can be translated as comprehends, is attentive, thus fixes his mind. “Self-inquiry” can be translated as constant inquiry, one’s own inquiry, inquiry into the Innate. Note: “intellect” can also be translated as intelligence. “ignorance” can be translated as darkness. “Being” can be translated as Existence. “for” can be translated as indeed. “unreal” can be translated as nonexistent. The illuminator of Existence is Consciousness. Where is there another? Of both the Lord and the individual, the assumed appearance and intelligence are the difference. Of both the Lord and the individual, activity and intelligence are the distinction. Of both the Lord and the individual, the thought of the assumed appearance is the difference. Note: “difference” and “distinction” can be translated as separation. In the Tamil version, the phrase that pertains to difference translates as, “Adjunct knowledge alone is different,” according to Sri Sadhu Om and Michael James. The abandonment of the assumed appearance is the revelation of one’s own Self. Note: “abandonment” can be translated as relinquishment. “revelation” can be translated as perception. “one’s own” can be translated as the true. D.: What is the correct method of practice for the disciple to adopt and follow? M.: In the first instance, it should be recognized that the ātman, or the Self, is not something existing separate and distinct from the seeker, which he has yet to obtain, as it were, from without. Considering further that there is nothing loftier or more sublime than the object of his quest, which is identical with himself, he that would earnestly try to attain Liberation should initially proceed to discriminate between what is permanent and abiding and what is not. By this discriminative insight, he should know beyond doubt and free from misconception what he really is, i.e., in what his real Being consists. Realizing thus his true and natural state, he should remain changeless, firmly established therein. This is the correct method of practice, or sādhana, and is called the Vicāra Mārga, which is pre-eminently instrumental in gaining direct and immediate knowledge of the Self. Jñāna is the utter annihilation of the mind by making it realize its absolute identity with the ātman, or the Self, by incessant practice of dhyāna (meditation) or vicāra (inquiry in quest of the Self). Utter annihilation of the mind is synonymous with that state of pure Being in which all effort (either to control or to direct it, which is necessary only if the mind is wayward or in any way subject to the influence of mundane existence) has finally ceased. Those who have attained that state never swerve from it. What is called Mauna, or Quiescence, is verily that state of pure Being. D.: How is it that, even though one is not in the immediate proximity of the sense objects, thoughts about them incessantly occur in the inmost recess of the mind, making it impossible for one to realize that tranquil state of abidance in the Self? M.: The objects of such thoughts are really the vāsanā-s, or subtle tendencies of the mind, wherein they have become imbedded as the result of one’s previous habits of thought and actions. Such objects of thought exist, indeed, only for the mind that, due to a false identification of one’s existence with the life in the body, has lost its inherent tranquility and has become subject to the ever-changing influence of the sense objects. If, instead of allowing the mind to engage itself in such thoughts, one inquires introspectively, seeking—as and when such thoughts arise—to know to whom they occur, these thoughts verily perish then and there. D.: What are the essential factors in the practice of meditation to which one should pay particular attention? M.: He that would abide in the Self should never swerve from his one-pointed attention to the Self, or the pure Being that he is. If, however, he swerves or slips away from that state, several kinds of visions conjured up by the mind may be seen. One should not, though, be misled by such visions—which may be of light or space—or by the nāda, or subtle sound, that may be heard within or by the visions of personified God, seen either within oneself or without, as if they had an objective reality, and consider them as the Real or Sat. When the principle of intellection by which these visions, etc., are cognized or perceived is, itself, false and illusory, how can the objects thus cognized, and much less the visions perceived, be real? (a) If the aspirant would only devote every minute spent in vain thinking about objects, which constitute the not-Self, in earnest inquiry in quest of the Self, he would, in a very short time, attain Self-Realization. (b) Until the mind obtains a firm and steady hold on the state of pure Being, practice of profound meditation tinged with religious emotion (bhāvana) is essential, for, otherwise, the mind becomes an easy prey to wayward thoughts or is overcome by sleep. (c) The aspirant must not waste his time in an endless and vain repetition of such scriptural dicta as “ṣivo’ham” (the Supreme Lord am I) or “AhamBrahmāsmi” (I am Brahman), which is considered characteristic of nirguṇopāsana. Instead, the aspirant should, with the strength of mind he gains by such devout repetition, or upāsana, practise ātmavicāra, or investigation in quest of the Self even as he is, without the superimposition of such ideas as “I am Brahman,” etc. (d) The excellence of the sādhana, or the method of practice adopted, consists essentially in not yielding, by every possible means, any scope for obsessing thoughts of any kind to enter into the mind. No one says, “I did not exist,” thus. “I,” with the mind (intelligence), investigate (make clear) the birth place. This inquiry (consideration), indeed, (alone) shall be true Self-inquiry. Thus, this correct idea (understanding, knowledge) is a limb of (unessential to, secondary to, inferior to) true inquiry. The Self is dear to all. Nothing else is as dear as the Self. Love, unbroken like a stream of oil, is termed bhakti. Through love, the Sage knows that God is none other than his own Self. Though the devotee, on the other hand, regards Him as different from himself, yet he, too, dissolves and abides in the Self alone. When bhakti has grown perfect, then, hearing once (about Reality) is enough, for it confers perfect Knowledge. Bhakti not continuous like a stream is called intermittent bhakti. Even this is bound to result in supreme bhakti. then again worships God for the sake of eternal happiness. Growing thus, bhakti, in the course of time, will become perfect. By means of this perfect, supreme bhakti, even as by jnana, one shall cross the ocean of becoming.